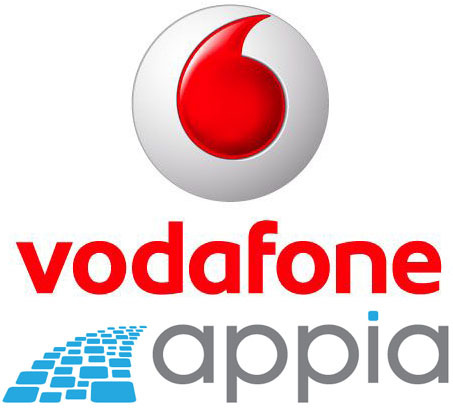 A new mobile app store is going to be launched in India by Vodafone India as the company has partnered with Appia which empowers white-label content and commerce platform for anyone who needs a mobile app store. Appia has been partners with over 40 companies including Samsung, T-Mobile, AT&T, and Verizon Wireless and it enables its partners to deliver apps to more than 3,200 different mobile device makes and models. The Vodafone Application Store already has over 10,000 app titles including local content as well as premium apps for various platforms which include Android, Java, Symbian and Blackberry. With this collaboration Vodafone hopes to provide a large segment of apps to its huge consumer base across the country. We have the official press release and Vodafone has officially announced the new Vodafone Application Store which is offering over 10,000 app titles across all popular categories including games, entertainment, social networking and local culture, offering a one-stop shop for all Vodafone India Mobile (2G/3G) customers to purchase and download applications and games for use on their GPRS-enabled handsets. The catalog also includes an extensive collection of content from local providers, including Hungama, India Games and Nazara, Spice, and Vodafone-branded apps like Portfolio Tracker, Vodafone TV, and Chhota Comics. Free applications will be available, along with a collection of paid applications. To access the Vodafone Application store, Vodafone customers can sms or to 111 from their GPRS-enabled handsets and click on the URL in the response message. Customers can also log-in to live.vodafone.in and click the Vstore link on the Vodafone Live homepage.